In the 1860’s the Duke of Sutherland built the salmon house as a wild salmon fishing station. This beautiful building on the pier is made of locally quarried stone. 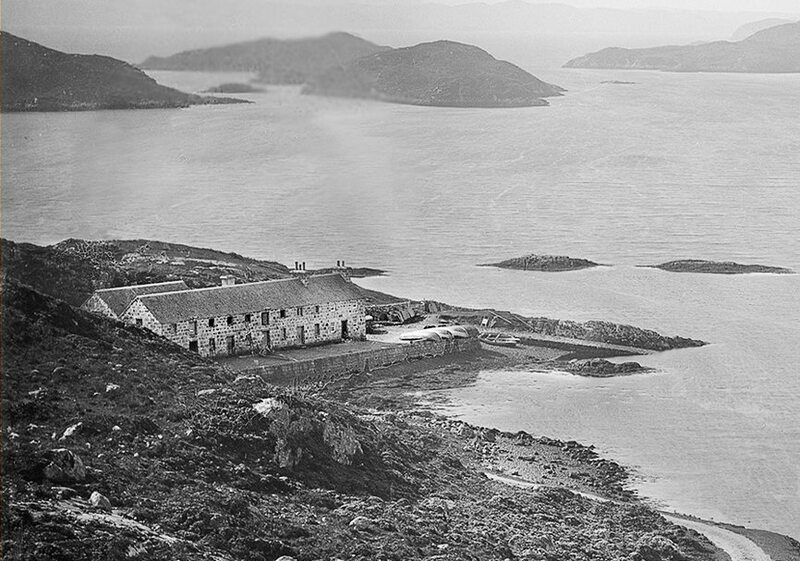 In 1880’s Ernest Beveridge, the pioneering photographer took this image of Badcall Salmon House and Badcall Bay (Badcall is Gaelic for ‘place of the hazel’). Badcall salmon house was used as a sheep shed and store. J. Johnston & Sons Ltd started salmon farming in Badcall bay. The broodstock for the farm was established from wild Scottish stock. 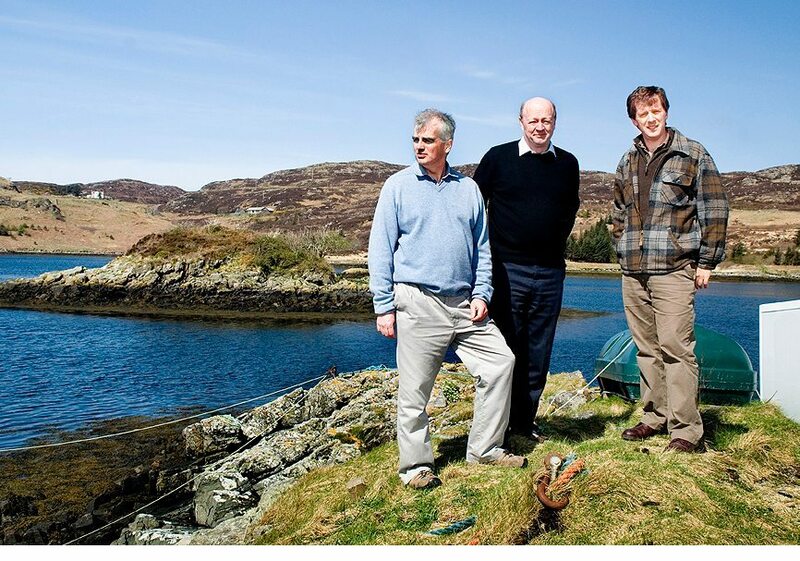 Loch Duart Ltd was founded by Nick Joy, Alan Balfour and Andy Bing. At that stage the company farmed the Calbha, Laxford and Badcall sites on the Scottish mainland. Loch Duart becomes the first salmon farm to be RSPCA approved. The Ardvar sites on the south site of Eddrachilles Bay are acquired. Loch Duart insists on high levels of marine content from our feed supplier. The Carnan site in South Uist is acquired. Loch Duart wins The Queen’s Award for Enterprise – International Business. Loch Duart salmon served at the wedding breakfast for Prince William and Kate Middleton. Loch Duart wins “Export Team of the Year” HSBC Export Awards. Loch Duart hatchery pioneered ‘environment enrichment’ to international acclaim. This increases the welfare of young salmon and reduces risk of ‘fin nipping’.